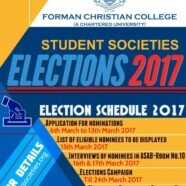 Forman Christian College (A Chartered University) always provides leadership opportunities to its students. Being a president of a society is a great way to gain leadership skills. In addition to establishing and running a society, society executives learn about budgeting, sponsorship, event management, publications, marketing etc. Involvement in a society might just be the thing that makes students stand out to a future employers or leaders. 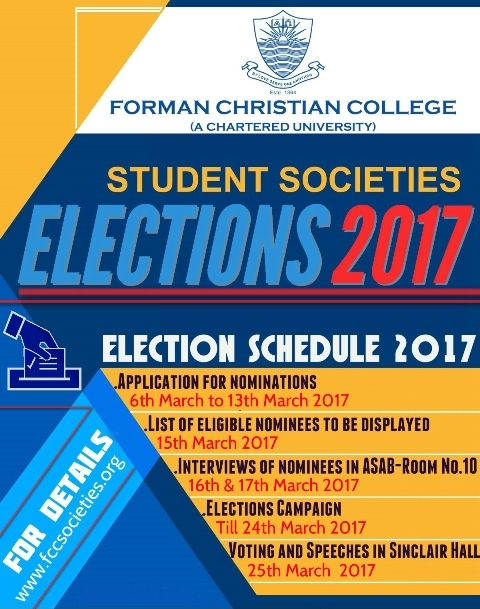 We have made a process of electing presidents and there are changes in the policy so you need to read it carefully. The elected president will be responsible for the society activities from 1 July 2017 onward. Meanwhile he/she will be participating in society activities and form an executive committee (office bearers) of the society who will plan activities and budget for the year 2017-2018.